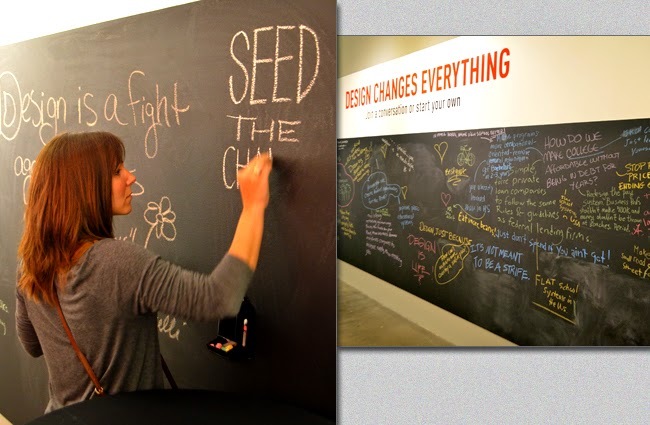 What I like most about Design for Social Impact is that it's not preachy, it doesn't tell us what we should be doing, but instead celebrates what we are doing to effect change in the world...positive change. 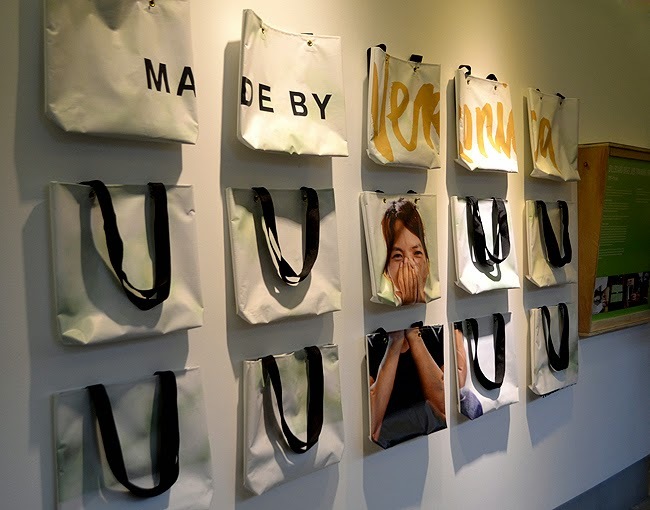 "Design Changes Everything", emblazoned on the main corridor, sets the tone for the experience visitors are about to enjoy as they enter the exhibit now on display at the Museum of Design Atlanta (MODA)...and I believe it to be a truth. As soon as visitors enter the exhibit, they're invited to join or start a conversation about the exhibition's subject. The comments are an assortment of brilliance, cleverness, humor, and unbounded hope. It's great to share the Soccket with you during the World Cup. I can imagine hearing an interview with a future World Cup athlete sharing the story of how the Soccket fueled their dream to become a world-class soccer player. What many of us do not realize is that nearly two billion people on the planet live in areas where electricity is unreliable or unavailable. Without question, this affects learning opportunities...kids can't read or do their homework at night—to name only one issue of being without electricity. In many of those areas, soccer is incredibly popular among youngsters. 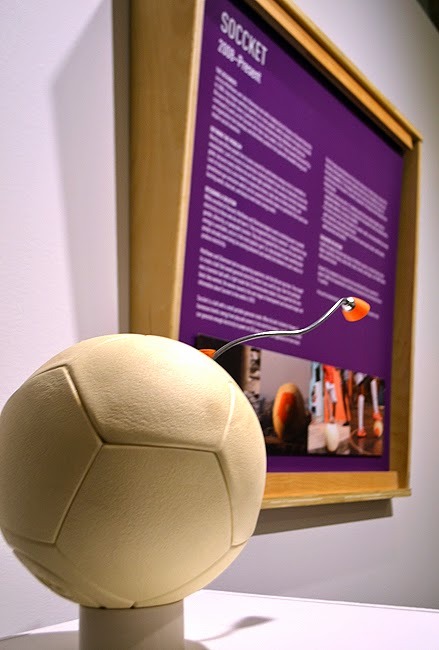 Sockket is a ball with a small portable generator inside—currently being redeveloped for greater durability—that "harnesses kinetic energy from play and converts it into electrical energy." Only 30 minutes of playing ball can generate enough electricity to power an LED lamp for three hours. That alone carries the potential for so many possibilities. The Design Conversation on Thursday, July 10, will feature Dr. Nicholas Giovinco, a food and ankle surgeon with an incredible passion for technology and and engaging personality. 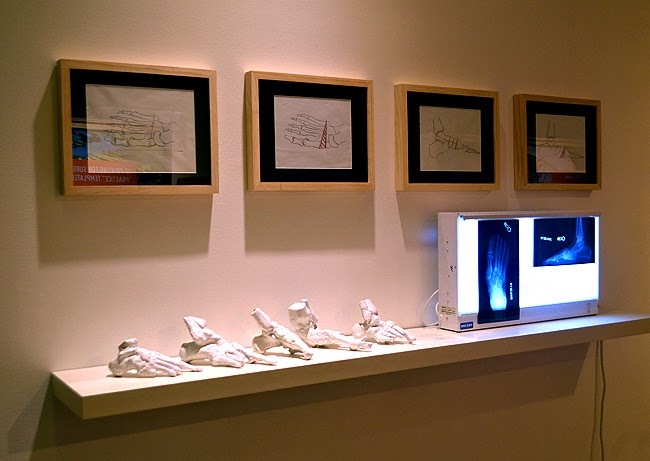 I had the pleasure of speaking with him about how he uses 3D printing to prepare for foot surgery. I'm hoping to learn more about the process and other possibilities 3D printing promises the medical field. Stay tuned for more from Dr. Giovinco, and register for the July 10 Design Conversation in the meantime. 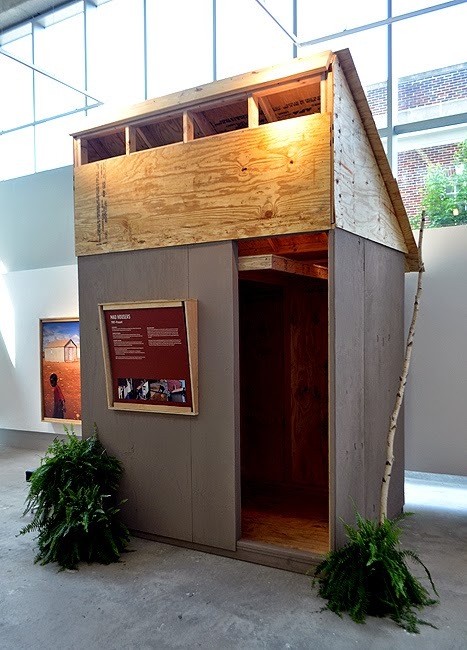 The Mad Housers is a nonprofit organization that provides shelter for the homeless, low-income housing for those in need, and they help people develop the skills to construct and repair housing. The brilliant thing about what they do isn't just their contribution, but the philosophy they embrace in giving. They "believe that if a person has a secure space from which to operate, they are much more capable of finding the resources to help themselves." I love that! Want to know more? 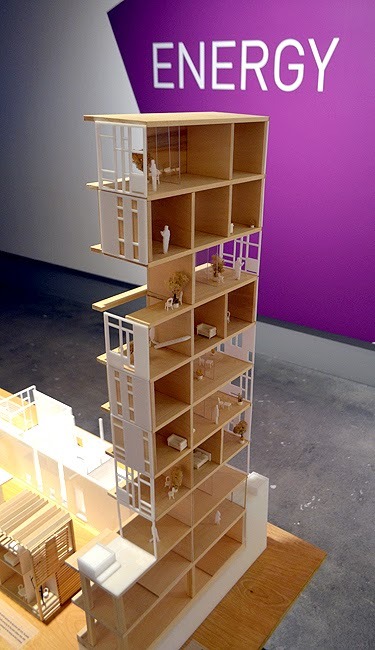 Hear from them directly at a Design Conversation at the Museum on Tuesday, July 22. 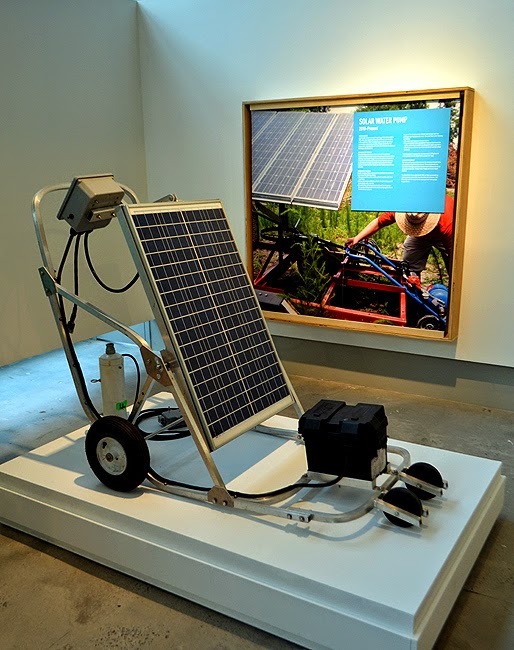 So many of the exhibits in Design for Social Impact are obvious heavy hitters. But as lighthearted as "I wish this was..." seems, I was enthralled with the possibilities this initiative invites. 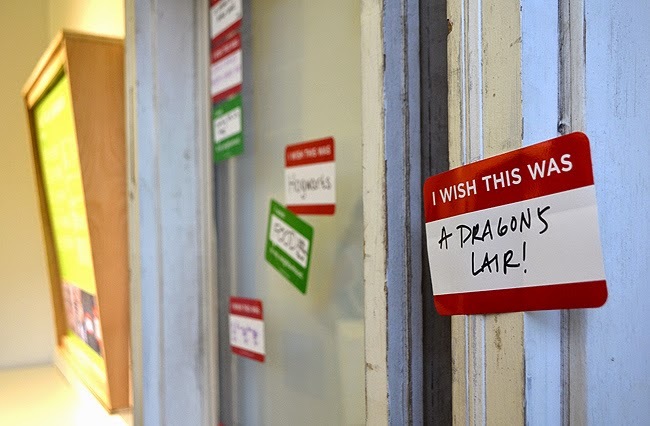 The "Dragon's Lair" visitor-written sticker is certainly fun, however in practical application, the project has enjoyed success in creating opportunities to connect people who can together effect community improvements and bring dreams to fruition. Be sure to read more about "I wish this was..." when you visit. 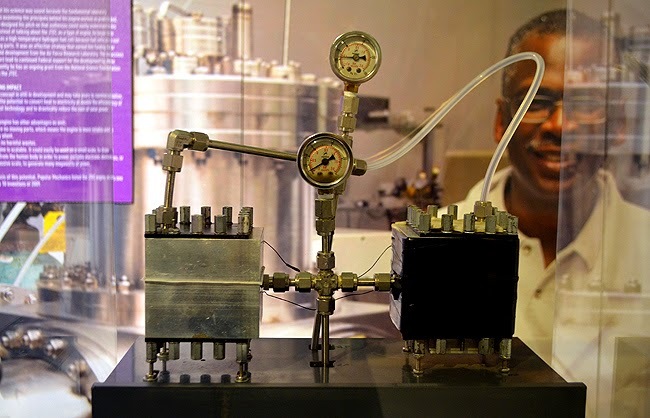 The Johnson Thermo-Electrochemical Converter System carries the potential to change the world unlike anything I've ever seen. It's an "engine", better described as a fuel cell, with zero moving parts that in a simple form could "draw energy from the human body in order to power portable electronic devices"...imagine no more being without a way to recharge your mobile phone! Did I mention that the inventors, students, social change agents and others behind Design for Social Impact are all from the Southeast? Dr. Johnson is an Atlanta resident. I love that we have this level of brilliance right here! Georgia Tech students bring to Design for Social Impact the design for a multi-use building where "the total amount of energy used by the building must be equal to the amount of renewable energy that it creates." I have to point out that to get the full benefit of Design for Social Impact, you'll want to make time to read the placards coupled with the displays. I've been been pleasantly surprised and totally fascinated throughout both of my visits to the exhibition—and I know I'll be back at least a couple more times. Design for Social Impact is segmented by discipline, including Energy, Housing, Community, Education, Healthcare and others. You have to admit, there's ample opportunity to create positive change in our world. Once again, I feel like I'm giving away too much, but believe me, I've only scratched the surface. There's quite a lot to discover here and a lot to make you feel good about what your fellow Southerns are doing to change the world for the better. Be sure to read all the way down this wall (above) when you visit the exhibit. I discovered a surprising revelation of how certain household items came into being...out of compassion nonetheless. I'm proud to have more than a dozen of their products in my kitchen! 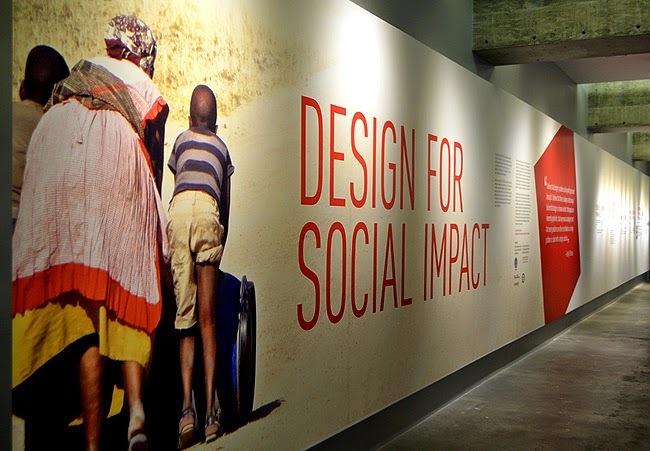 Design for Social Impact is on exhibit at the Museum of Design Atlanta (MODA) through Sunday, August 3. When you long for some good news about the human race, look to today's design innovations...I think you'll quickly agree that "design changes everything."